Streaming videos has become a mainstream way of watching our favorite media, but there are times when it can be inconvenient or impractical to do so, and downloading videos to a local drive to watch them is preferred. There are several software options to accomplish this, but which are worth your time and money? 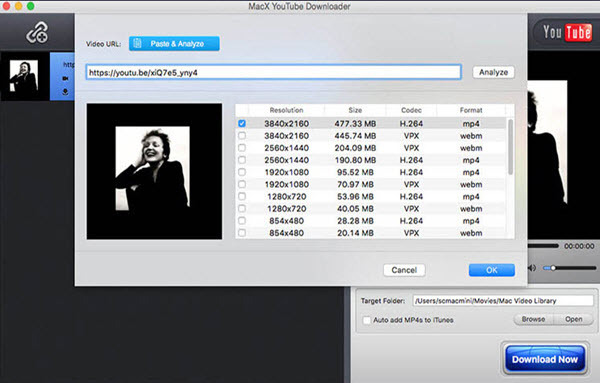 In this article, we will review the best 5 video downloader software for Mac OS X (10.14 Mojave included). A great package to use, iTube Studio provides a clean and uncluttered interface that is easy to use and a workflow that is simplicity itself. Widest compatibility with video streaming sites, making it it is difficult to find a video it cannot deal with. Accelerated video downloading by using threaded downloads to ensure that you get your files as fast as possible. 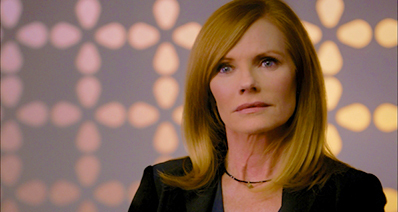 Has the capability of handling even the latest 4K video resolutions. 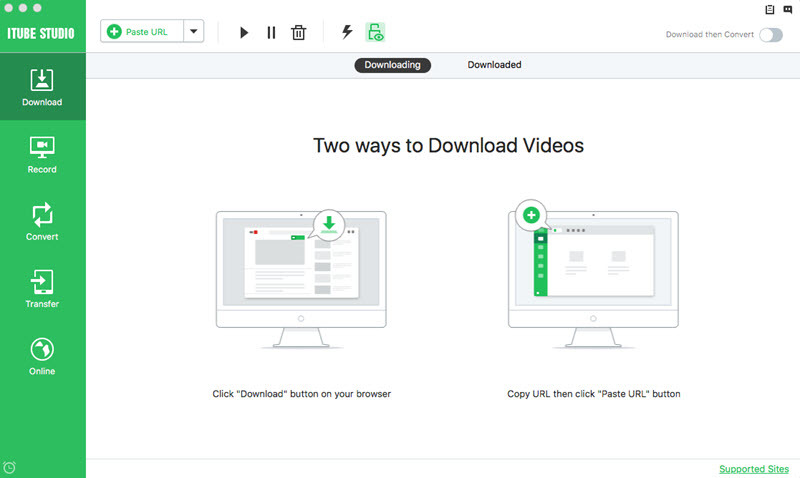 Although as the name suggests this is marketed as a video converter, it includes downloading features too and that is why it is included here. There are a significant number of options to manipulate you videos, including editing, resizing and format conversions, as well as the screen recorder function that lets you record what is on your Mac screen in real-time. The package offers a clean interface and some great options, but perhaps the downloading part is a little under developed in this company. 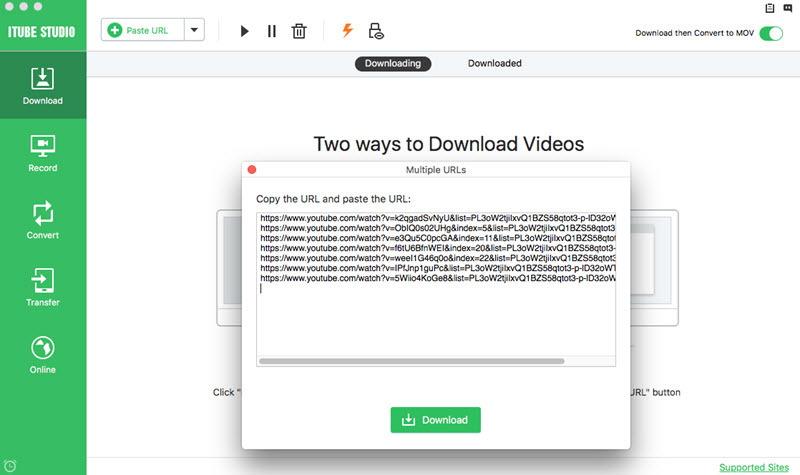 A comprehensive downloader Grappler has the ability to grab video from a wide range of sites, although the interface is a little lacking in comparison with the best on display here, relying on cut and paste for URL ingestion. 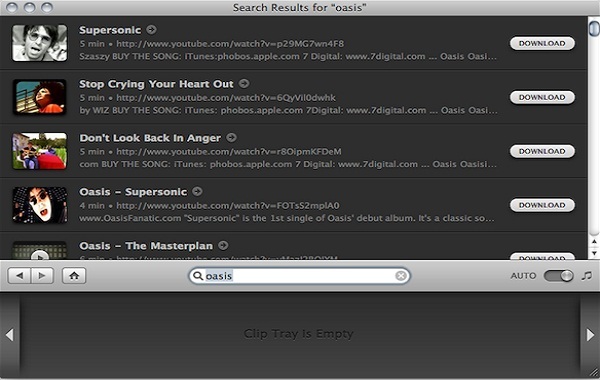 However, it does include a range of features elsewhere, notably iTunes integration for easy playback of downloads straight from an iTunes playlist if required. A simple interface and easy workflow creates an attractive package that offers plenty of performance and a feature set that will appeal to many people. 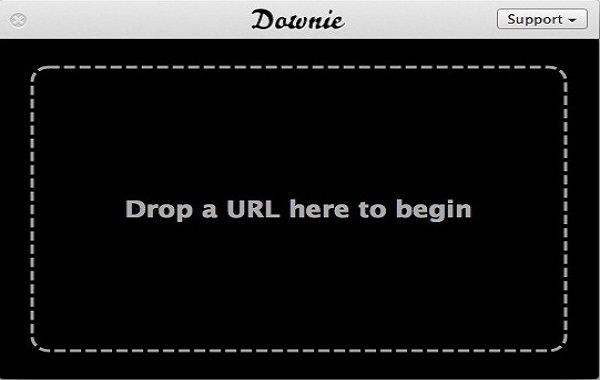 A modern and well featured app, Downie has an impressive range of sites it can download from, with only iTube Studio able to offer a wider choice. Also along with iTubes they are the only two capable of handling 4K resolution videos, which could be important as this resolution becomes more widely used. Also included is a basic conversion utility to ensure compatibility with iTunes, all wrapped up in an easy to understand, clear and pleasing interface. A product with a wide range of features, Video Converter Ultimate offers compatibility with several different streaming sites in addition to YouTube. Also included are a wide range of conversion options and even the ability to create DVDs from your downloaded media. The downloading function is not as comprehensive as some here, but it combines seamlessly with the conversion feature to download and convert your favorite media into new formats all in one operation, making it very useful, if limited in its site compatibility compared to some, notably iTube Studio. Whilst all software here offered a viable solution for downloading your favorite videos, one that stands out in this selection was iTube Studio for Mac, offering the widest site compatibility and the best balance between features and ease of use, whilst managing to retain good value into the package as well.